David Escalante Euán. Musician, dreamer, late-night silkscreen printer, builder of culture, and collaborator with the Colectivo Santiaguero since 2007. 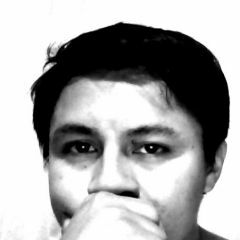 Born in Mérida, Yucatán, México; I am a musician and also a Social Anthropology student in the Department of Anthropological Sciences at the Autonomous University of Yucatán, specifically in the area of the Music and Sound Anthropology. With in the Colectivo Santiaguero, I collaborate with various cultural projects: Workshop of Silkscreen Printing and Inter-Knowledge, Rizoma Comunitario (documentation of social projects), La Marchante Selecta & La Orquesta Multicolor (music). I enjoy collaboration, working in networks, and social reflection of my surroundings. “South of South” is Free Music – Assembly!